Officers from the Canadian County Sheriff's office and statewide agencies, such as the Bureau of Narcotics and Dangerous Drugs, have seized nearly $1.5 million in cash since 2000. A lot of seizures occur from vehicles traveling Interstate 40. On a March day in 2009, Moua Yang and his father, Chao Yang, were driving west from Oklahoma City in a rented Nissan sedan with more than $25,000 in cash in the back seat. A Canadian County deputy stopped them. Deputy Mike Stilley, working drug interdiction, clocked the car at 76 mph in a 70-mph zone on Interstate 40. He gave chase as he called in the vehicle’s out-of-state plate, pulled the car over and, after approaching on foot, began questioning the Yangs. That questioning would lead to permission to search the vehicle – and then to Stilley’s finding the cash. He seized it, saying evidence showed it was tied to drug trafficking, which the Yangs denied. Never charged with a crime, they contested forfeiture of the money in court – a dispute that would drag on for nearly four years. The Yang case illustrates the sometimes ambiguous circumstances surrounding the controversial practice of law enforcement agencies’ seizing assets from people whose only provable offense was a traffic violation. It also raises questions about what is a valid suspicion, and what is a pretext, for officers’ pursuing a vehicle search. The Yangs accused Stilley of probing incessantly to justify a search and seizure. Stilley said he acted based on sound suspicions. The case also stands out because in the end, the Canadian County District Attorney’s Office settled the case and split the seized money with the Yangs, who lived in Milwaukee, Wis., and paid an Oklahoma attorney. Critics of civil asset forfeiture argue that authorities are often motivated more by profit than justice in confiscating millions of dollars over years without having proof even to file charges. Chris West, undersheriff for Canadian County who wasn’t involved in the Yang case, has said he supports civil asset forfeiture, but told Oklahoma Watch he opposes settlements in such cases. In general, officials say nabbing whatever they can of drug-trade profits is what civil asset forfeiture is all about. Abuses are rare, they say. If police lose the right to wrest assets without securing a conviction, as legislation introduced this year proposes, drug cartels will easily reap more windfalls, police say. 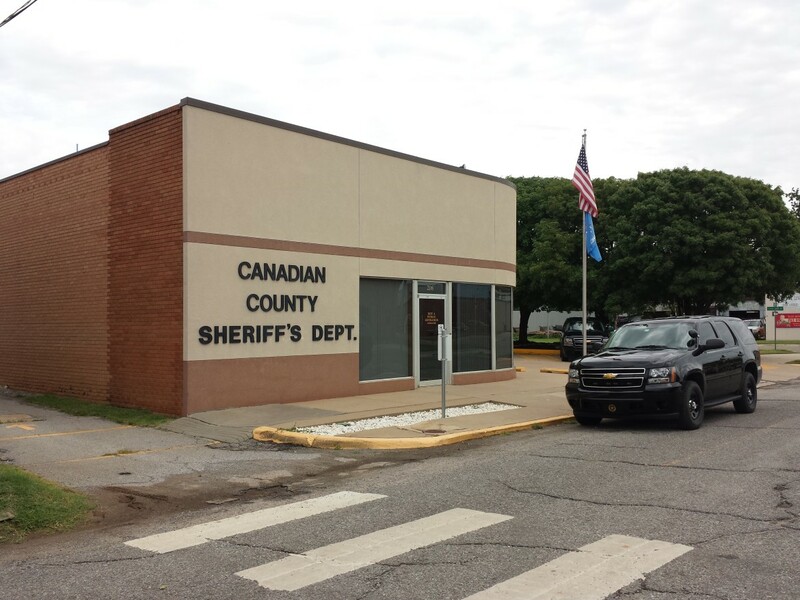 During the questioning of the Yangs, Stilley became suspicious because of inconsistencies in their stories, according to a summary of the case provided by Canadian County Assistant District Attorney Mike Fields and an interview with Stilley. Shortly after the stop, the officer separated Moua Yang from his father by having the son sit next him in the patrol car. While the deputy ran his license, Stilley asked Moua Yang about their travel plans, court records say. Yang replied that the two were traveling to California to attend the wedding of his sister – Chao Yang’s daughter – on Saturday, and they planned to stay for two days. Stilley became suspicious about the itinerary. “California was less than one day of a drive, which meant Moua was allowing himself four days to get there,” says a court record quoting Stilley’s narrative. The stop occurred about 1 p.m. Tuesday, March 3. Leaving Moua Yang in the patrol car, Stilley approached the Yangs’ car and asked Chao Yang for its rental agreement. The officer asked him about their destination, to which Chao Yang responded, “Mexico,” court records state. Moua Yang later told the officer that his father must have misunderstood Stilley, that he meant his daughter was marrying a Mexican. Stilley said he noticed other inconsistencies. For one, the daughter had already married over the weekend. Todd said in an interview that this was not unusual for Hmong people such as the Yangs. The Hmong are a tribal people from southeast Asia, including Laos, Cambodia and Vietnam. They were allies of the United States during the Vietnam War and fled the region when the Americans pulled out in 1975 and South Vietnam fell. Todd said Hmong often have a civil wedding ceremony followed by a tribal one. After returning to the patrol car, Stilley discovered from a driver’s license check that Moua Yang previously had been convicted of assault and “weapons violations,” Fields’ summary says. Yang responded that the conviction was the result of a “simple fight” years ago, and the weapons violation was because he used pepper spray during the fight. Eventually, Stilley wrote Moua Yang a warning for speeding and told him that the traffic stop was complete. However, as Yang started to get out of the cruiser, Stilley told him his job was to investigate criminal activity through traffic enforcement. He asked whether Yang and his father were transporting any illegal drugs, weapons or large amounts of currency, court records say. Yang replied they were not. Stilley asked to search the vehicle and said Yang agreed. Moua Yang opened the trunk, and it was empty, with no luggage, which Stilley found suspicious. He looked in the back seat and found a duffle bag of several articles of clothing and a towel that smelled strongly of laundry detergent. Wrapped in the towel was $25,690 in cash, most of it in bundled $1,000 stacks. Moua Yang said he and his family had been saving the money for a long time. Both Moua and Chao Yang told Stilley they had been unemployed for two years. Stilley reported the cash smelled slightly of marijuana, and a K-9 dog reacted to the money. A subsequent analysis by the Oklahoma State Bureau of Investigation crime lab yielded no drug residue. Todd said the purpose of the money became lost in a cross-cultural misunderstanding. When the Hmong get married, cash is solicited from family members and friends and bestowed on the newly married couple. The sums can be large. Todd added that the Hmong tend to hold and carry cash because of their distrust of government and banks, stemming from their history in Laos and Cambodia when assets were taken from them. “There’s a whole cultural issue there that in my opinion is impossible for a white, rural, small-town deputy to understand,” Todd said. The court records do not say whether the Yangs told Stilley the money was to be used as a wedding gift. Stilley concluded the money was likely related to the drug trade and he seized it. “You’ve got twenty-five-grand wrapped the way it was wrapped, no job, two guys telling you that they’re going to different places, one of them is telling you they’re going to a wedding but neither one took any clothing to go to a wedding. In my line of work, we call that a clue,” Stilley said in an interview. He advised the Yangs they would be able to seek return of the money in court. 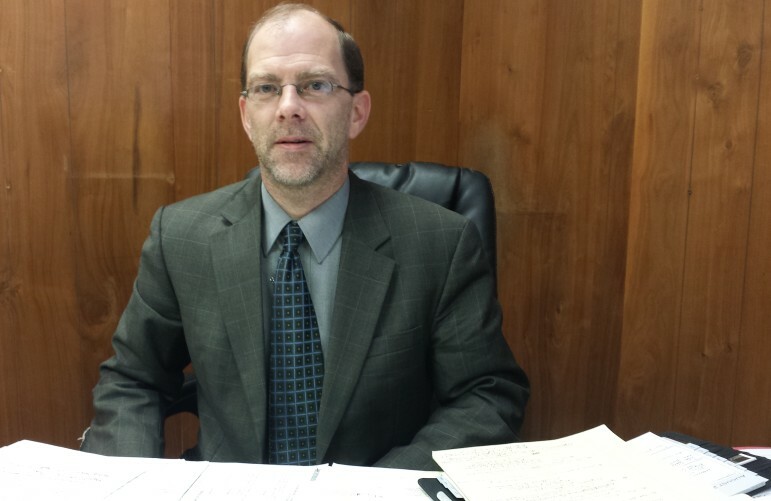 Three days after prosecutors filed a forfeiture action against the Yangs’ money, Stilley appeared before the Canadian County Board of Commissioners as head of a county tactical team, meeting minutes show. He said there was sufficient money to purchase new bulletproof vests for the tactical team. The vests cost about $1,700 each, for a total of $40,000. The money would come from the district attorney’s revolving drug fund, into which forfeited cash is deposited. 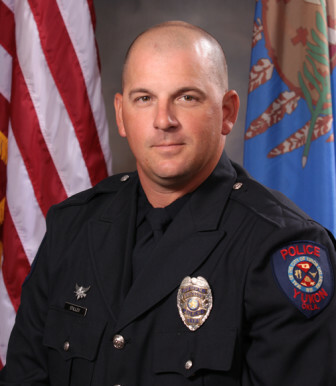 Brady Henderson, legal director for ACLU Oklahoma, said law enforcement’s ability to make roadside seizures of cash that the officer knows could be spent on equipment or salaries for his or her agency holds an inherent conflict of interest. Stilley said the seizure and the request for bulletproof vests were unrelated. In Todd’s view, whether or not to seize the cash was settled when Stilley found it. No drugs were found during the stop. The Yangs had no warrants for their arrest. Court records indicate neither has ever been charged with a drug-related crime. No criminal charge was filed against them stemming from the stop. However, Fields, the prosecutor, cited another factor that affected authorities’ view of the case. He said authorities received information through unidentified law enforcement records about international drug shipments. Todd, the Yangs’ attorney, questions the accuracy of those records. The seizure petition described the money as “intended to be furnished in exchange for a controlled dangerous substance” in violation of U.S. drug laws. The case went on until 2013, when the parties reached a settlement and $12,845 was returned to the Yangs. Todd said settling was a hard decision. Oklahoma Watch attempted to contact Moua or Chao Yang by email and telephone, and hired a freelance reporter to visit Moua Yang’s address listed in voter registration and Canadian County court records. A note was left on the door of the house, now boarded up, in a low-income Milwaukee neighborhood. Todd said he is no longer in touch with the Yangs. Stilley is now training coordinator for the Yukon Police Department. In insisting that profit is not the purpose of cash seizures, he said that while he was patrolling highways, it was relatively rare – one out of hundreds of stops – that he would find drug money, drugs or other illegal activity. “If there are clues and indications they are being deceptive or lying for one reason or another, we just go from there,” Stilley explained. State Sen. Kyle Loveless, R-Oklahoma City, introduced a bill that would curtail police powers to seize cash or property. Among other things, SB 838 would require a conviction before assets seized by authorities could be forfeited. Todd said the issue is that hundreds of people have their cash seized with officials not having to prove the cash is tied to a crime. “If it’s drug proceeds, shouldn’t they be sitting in jail for transporting drug proceeds?” Todd asked. Many law enforcement officials oppose the bill. Oklahoma law enforcement agencies may see a cut in revenues in the wake of the U.S. Justice Department indefinitely suspending its civil asset forfeiture sharing program.